9mobile (Etisalat) Latest Browsing Cheat Using IMEI Tweak - Blog Mall Nigeria - No 1 Hub For You! Wow, got this from Gizmolad blog and decided to share here. see what larry posted there below.. The cheat is dedicated to all 9mobile users and we are introducing you to the popular IMEI tweak. For many, in the free browsing world, IMEI tweaking has been around for some time now. This was very common back in the days on Blackberry smartphones, where Tecno and Infinix users tweak their phones so as to be able to subscribe to BB plans. The process involves changing the default IMEI number that came with your phone to another. In this post, we will share with you how to enjoy unlimited free browsing using the method. The cheat based on the offer from Tecno and Infinix mobile when you buy a new smartphone. For some phones, you get 1.5GB data while for others, you get 2GB worth of data. We call it unlimited because the more you tweak, the more data you get. You don’t need any VPN or configuration file to enjoy this free browsing tweak. You can also get a recently purchased smartphone from anyone, follow the process below and get your free data. The process is pretty plain and simple, tweak your IMEI number, text a code and get your free data. I will be working through the process so sit back, and see how it works. For this post to work for you, you must be conversant with how to change the IMEI of your smartphone. To do this, download any of the list app Mobile Uncle app, or MTK Engineer Mode from Play Store. NOTE: Dial *#06# to copy and save your default IMEI just in case you need to change it back. After downloading the app, next is to launch and then select “Engineer Mode (MTK)” >>>Swipe left to “Connectivity” >>> then click on “CDS Information” >>> Now select “Radio Information“. Under “Radio Information“, select either Phone 1 or Phone 2. Phone 1 represent your SIM 1, while Phone 2 represent your SIM 2. To change the IMEI number, simply edit and change the numbers after the AT+ EGMR=1,7 for SIM 1 or AT+ EGMR=1,10 for SIM 2. Below are some of the generated IMEI number, just change the last three digits to create a new IMEI for your smartphone. Reboot your phone and dial *#06# to view your new IMEI. How To Get Free Unlimited Data using IMEI Tweak? 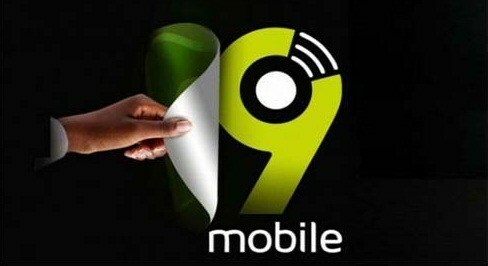 To get your free unlimited data from 9mobile, simply dial *8186*PIN# or send via SMS the PIN to 8186. Wait for a response and if your IMEI and PIN are valid, you will be gifted with your free data. Repeat the process again and again to get more data. NOTE: All you have to do, is change the last two or three digits and send to see if it works for you. Where you get a message that says “Sorry, the IMEI has been used” means you have to generate a new IMEI. See process above. Where you see a message that reads “Sorry, the smartphone offer was not successful” mean you need to generate any pin. Do this by changing the last two or three digits.